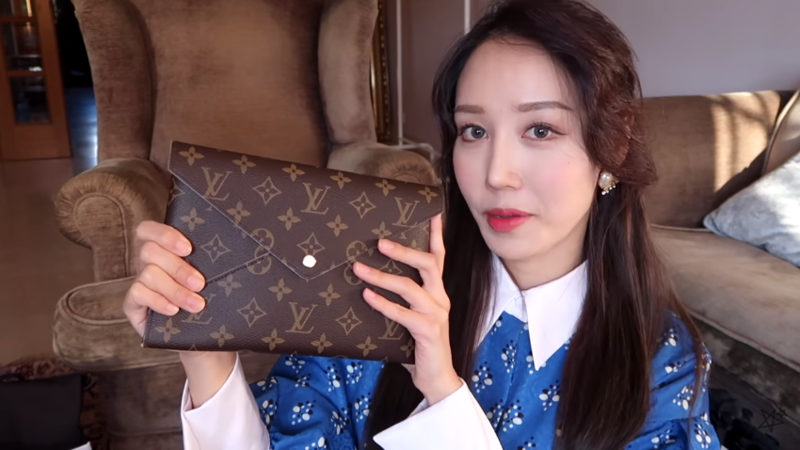 A Korean YouTube blogger is a hot issue as she posted a video titled ‘I spent $14,000 on luxury shopping. Let’s unbox the luxury items!’. Hanbyul, who calls herself a ‘fashion and beauty blogger’, shared this video in November last year. Currently, approximately 627K people have subscribed her YouTube channel and the video has over 1.3 million views. On YouTube, the word ‘haul’ is very often used by bloggers. A ‘haul’ video typically shows you the unboxing process of a large amount of shopped items. In the past, most of these videos only showed products such as electronic devices, cosmetics, or toys. However, these days, videos showing expensive luxury items have been gaining a lot of views and popularity. Throughout the 20-minute long video, Hanbyul shows you clothes, bags, and shoes from luxury brands including Louis Vuitton, Miu Miu, Gucci, and Yves Saint Laurent. She continuously introduces the items saying phrases like “this is so pretty!”, “I know this is expensive, but sorry it was too beautiful I couldn’t help it”, “You have to know it is cheaper to buy luxury items in Paris than Korea!”. As opposed to the blogger’s happy and positive attitude, some viewer’s reactions are not so positive. Some have commented, “are you showing off your money?” or “this kind of video only hurts viewer’s self-esteem”.